When a 261 metric ton airplane lands or a medivac helicopter is headed to the hospital—that is no time for a critical component to fail. MTI understands this. That’s why we’re NADCAP* accredited. Our aerospace partners like GE, Pratt & Whitney, Rolls-Royce, Boeing, and Honeywell trust the quality of MTI’s welded parts. Globally present with facilities in the U.S. and U.K.
An expert in all three different types of friction welding technologies—rotary, linear, and stir. Ready to offer risk mitigation for production based upon your existing part process parameters. MTI’s manufacturing services covers all these factors and more. Our know-how in machine building for aerospace parts ranging from engine components to landing gear parts, from rocket engine igniters to fuel containment vessels and more, is integrated into our Manufacturing Service capabilities. This advantage provides better quality control and leverages our friction welding process expertise. Friction welding is ideal for the aerospace industry because it's a solid-state joining process that creates a forged quality product. The result? We get stronger welds with a longer life than traditional welding techniques. Friction welding also gives us the unique ability to join bimetallic or dissimilar metals for our aerospace partners. Take copper and titanium, for example. Copper is a very soft metal while titanium is a hard metal. These differences in forgeability make breaking and peeling likely. However, using rotary friction welding, MTI’s manufacturing services played an integral role in the TIRS-02 program, a NASA imitative which uses thermal infrared sensors to measure the Earth’s temperature, by joining together these two dissimilar metals. We’ve also joined Inconel 718 to Inconel 100 for turboshafts along with several other bimetallic combinations. We calibrate and maintain our machines to keep them at optimum performance so that your last welded part is of the same high quality as your first. To ensure safety and the highest weld quality, we can design and build tooling specific to your part. Plus, we can have your parts certified to meet your internal quality and production standards. We also have a full staff of engineers, designers, process engineers, and metallurgists to support your program’s needs. We regularly perform feasibility studies for our customers, such as a study to improve the quality of repair work to prolong part life expectancy on engine nose cowls. MTI provides additional risk mitigation through part production support based upon your existing part process parameters, and we have the room to handle your order—no matter what size—with a production facility over 117,000 sq. feet. From small aircraft rivets to 55-foot-long friction stir welds, MTI can handle all of your contract welding needs. 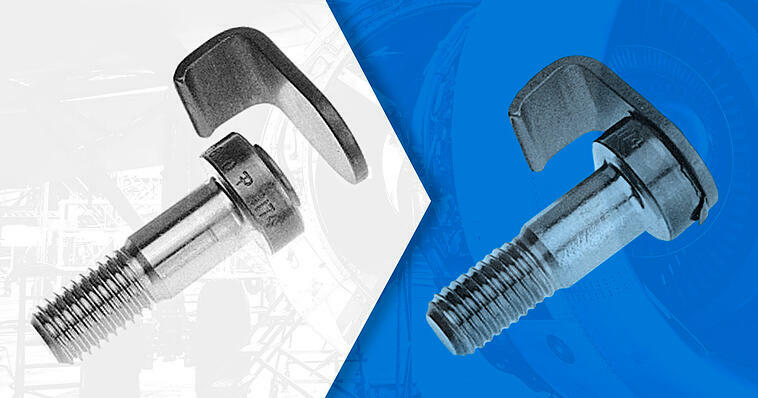 MTI has been in business for over 90 years and has 50-plus years of experience welding critical aerospace components. Our global presence with facilities in the US and UK make it easy to do business with us. Go with a partner who knows what it takes to bond quality parts for aerospace applications. MTI’s manufacturing services solves difficult challenges daily. For customized parts, or the machines that make them, you can rely on us. Whether you’re designing helicopter rotorshafts, beveled gear assemblies, or anything in between—we can build a machine to make your part, make your part for you, or help you make your part even better. Let's talk! We're ready to create a joining solution for you. * Nadcap is the leading worldwide cooperative program of major companies designed to manage a cost-effective consensus approach to special processes and products and provide continual improvement within the aerospace and automotive industries.